Even Neil Postman didn’t expect this. 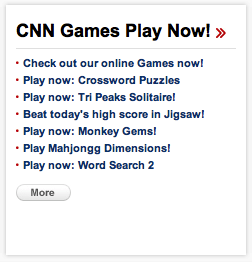 Another feature of the CNN webpage exclusive to the American edition: games! Given this and the numerous examples of US versus the world magazine covers, it makes me wonder if the major media companies are even trying to inform. This entry was posted in other, tech and tagged cnn, games, news on December 27, 2011 by jonathan. 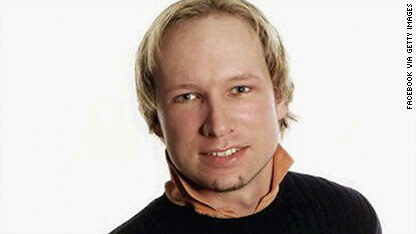 This post is not about what Anders Behring Breivik (allegedly) did. Instead it’s about the photos. Everywhere you look, you see professional portraits of the suspect. 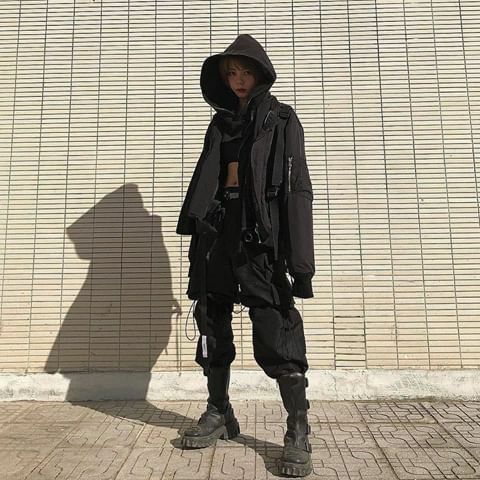 Where did these images come from? Obviously, they came from the Anders Breivik, but where did the media get them? What was the context that they were taken in? Wait. “Facebook via Getty Images?” What does that mean? How does Getty get the attribution? Do they own the right to license the images to news agencies or what? Did Facebook just invoke their right to sub-license (See section 2.1 of Facebook’s Terms and Conditions) Anders Behring Breivik’s photos to Getty for (blood) money? Let me be clear. It’s not not just Facebook and Getty. There’s this photo that carries a Reuter’s copyright notice no less. This photo appears again, this time with “AP Photo / Twitter” attribution. And again, but with Getty. Either Getty, AP, and Reuters are engaging in widespread unauthorized redistribution of copyrighted materials for commercial gain, someone (meaning Facebook and possibly Twitter) has sublicensed the photos, or the AP, Reuters, and Getty are making a very dubious fair use claim over distributing the photos. This entry was posted in other, personal, photo and tagged andersbehringbreivik, associatedpress, cnn, crime, death, facebook, gettyimages, intellectualproperty, oslo, reuters on July 24, 2011 by jonathan.